The Community Jury for Indigenous Health Research was established in 2010 to encourage local Indigenous community participation in the research agenda of our health service. The Community Jury ensures that we undertake health research that is ethically sound, culturally appropriate, and locally supported using a safe, meaningful, equitable and transparent process. Our Community Jury is the first research jury in Australia and we take pride in developing a model to set new standards in meaningful local approval for research. We will not engage in research activity, or collaborate with other researchers, until the research has been considered and endorsed by the Community Jury. The Jury convenes quarterly and spends one day reviewing proposed research and monitoring ongoing research undertaken by Inala Indigenous Health Service and its partners. The development of our Community Jury emerged from the work of health economist Professor Gavin Mooney, and the pioneer of Citizens' Juries in health in Australia. Professor Mooney kindly facilitated our first jury and was an inspiration for our work. He died in tragic circumstances in Dec 2012. Citizens' Juries first emerged in the late '70s in the US Germany and the UK. Community members self-nominate to put their name 'in a hat' and are randomly selected to form a jury. The Jury 'cross-examines' expert witnesses about a particular topic. Such juries serve as a form of public consultation for policy makers. Our Community Jury comprises 12-14 local Aboriginal and/or Torres Strait Islander individuals who have the opportunity to 'interrogate' researchers who want to undertake health research within the Inala Indigenous Community. Assesses new health research proposals and reviews whether they are responsive to local priorities and respectful of local community cultural processes and protocols. Reviews existing and ongoing health research projects to ensure they remain responsive to these processes. Answers the question: Do you support this research and, if not, what needs to change for it to be acceptable? Provides advice, support and recommendations in a timely fashion to researchers and partnering research institutions. Assists in developing broad research guidelines and principles for our service. Please contact our Research Director Dr Geoff Spurling for further information about the Community Jury. Our Community Jury was first convened by Dr Chelsea Bond (nee Watego), an Aboriginal and South Sea Islander woman and descendant of the Munanjahli people of Beaudesert. 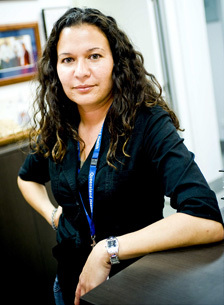 In 2007, Chelsea was awarded a Doctorate of Philosophy from the University of Queensland's School of Population Health, with a thesis that critically examined the construction of Aboriginality within public health practice. Her research focused on highlighting the cultural strengths of the community she calls home (Inala) and she was named on the Dean's Commendation List for Outstanding Research Higher Degree Theses. Dr Bond now works at the University of Queensland, but retains a strong association with our service.